21 years corporate, entrepreneurial & consulting experience in enterprise IT. Proven ability to reduce risks & costs while growing revenue & efficiency. Advanced knowledge & demonstrated success in architecture, quality assurance, process methodologies, globalization & regulatory compliance. Effectively translates business requirements into IT solutions to meet customer & business needs within a global environment. C, C++, Visual Basic (VB), VBA, SQL, XML, ORACLE stored procedures, Pop-11, Modula-2, Pascal, Basic, OCCAM Parallel Programming, Oracle, Sybase, TIBCO/RV, BEA WebLogic, BenderRBT Test Case Design tool, HP Mercury Quality Center (Test Director), Quick Test Pro (QTP), Business Process Testing (BPT), Winrunner (TSL), Load Runner, Performance Center, Rational RequisitePro, ClearQuest, ClearCase, Perforce, Quickbuild, mValent CMDB, PowerCenter, Altiris, IBM Tivoli software distribution, Crystal Reports, CMMi level 5, Agile, Rational Unified Process (RUP iterative), Six Sigma, ISO 9000, ITIL, Total Quality Management (TQM), Unified Change Management (UCM), Service Oriented Architecture (SOA), Software as a service (SaaS), Coverage/Traceability focused Risk Based Testing (RBT), Model Based Testing (MBT), Localization (l10n) and Internationalization (i18n). Walter (hacker name: "Scorpion") was designated a child prodigy after scoring 197 on an IQ test at age nine. At 13 years old, he started his company Scorpion at first to service local businesses and financial institutions and navigate their introduction to analytics, computerization, and the internet. At 16, ranked first in Irish national high-speed computer problem solving competitions. At 18, he competed in the World Olympics in Informatics and has ranked as high as the sixth-fastest programmer in the world. 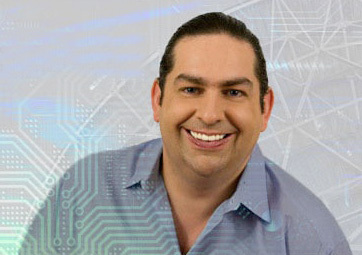 He received a Bachelor of Science degree in Computer Science and Artificial Intelligence with honors from Sussex University in the United Kingdom. The U.S. Department of Homeland Security certified Scorpion as being of National Interest to the United States economy and granted him an "Extraordinary Ability" EB 1-1 Visa (also granted to Albert Einstein and Winston Churchill). is a frequent public speaker for IEEE (Institute of Electrical and Electronics Engineers) and teaches as a mentor with the Founder Institute, the world's largest idea-stage incubator. has worked with the world's largest mutual fund company, Fujitsu, Microsoft-Trados, Oracle Corporation, Baltimore Technologies, and Critical Path. Walter serves as chairman or board member for Houston Technology Center, Strike Force Solutions, Talentorum Alliance, Lawloop and previously has served on the boards of American Environmental Energy, Starglobe and Toin Corp. In addition, is frequently called on by news media, the government, and the federal court system for his technology expertise.